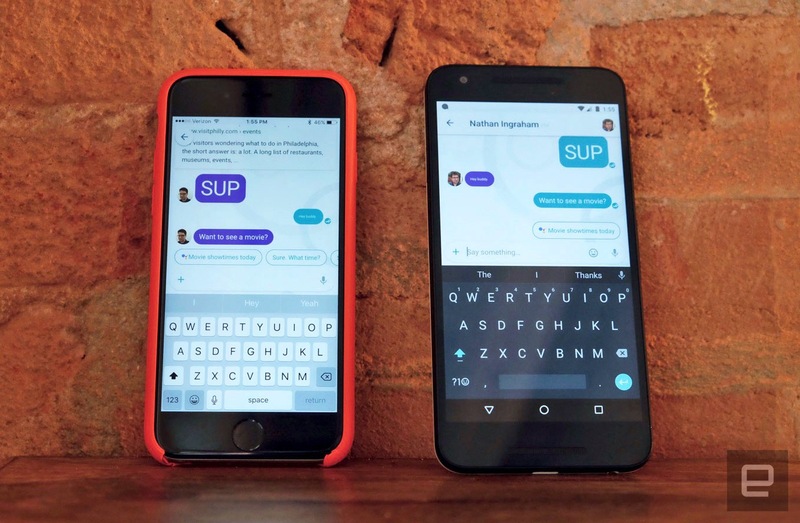 Google's latest chat app is smarter than most, but will that be enough to get you to switch? If you're going to unveil a new messaging app, it had better do something unique. At this point, finding a place amongst entrenched options like Facebook Messenger, WhatsApp and iMessage is not an easy task. Google didn't quite pull it off with Hangouts when it launched in 2013. Sure, it's installed on basically every Android phone out there and anyone with a Gmail account has probably tried it, but Google's messaging strategy never quite came together in a compelling or clear way. So Google is rebooting yet again with Allo, a mobile-only messaging app that leverages the company's biggest strengths in an effort to stand out from the pack. That strength is the vast amount of knowledge Google has about you and the world around you. 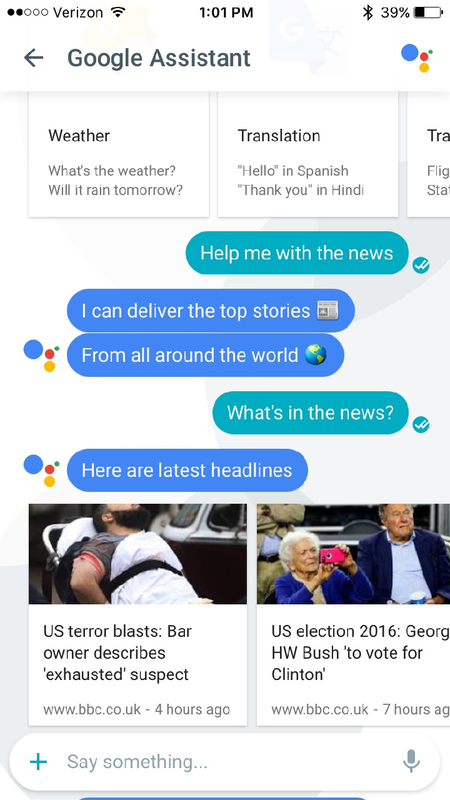 It shows up in the app via the Google Assistant, a conversational chatbot that provides you and your friends with contextual info based on your chat history. The bot will show up across multiple Google products, including Google Home, but this is our first look at it in action. It's an outgrowth of what Google's been doing for a long time with the Knowledge Graph and the info it serves you in things like Google Now, and that really is something no other app can do. I've been playing with Allo for about a week to see just how much the app can do -- and where it still falls flat. Getting set up is a simple affair: Once the app is installed, you create a profile linked to your phone number and Google account. From there, you'll be able to see who in your phone's contact list is using Allo to initiate a chat; you can also invite friends who don't have the app to give it a shot. Then you can start a one-on-one chat, a group chat, an encrypted "incognito chat" or talk directly to the Google Assistant. 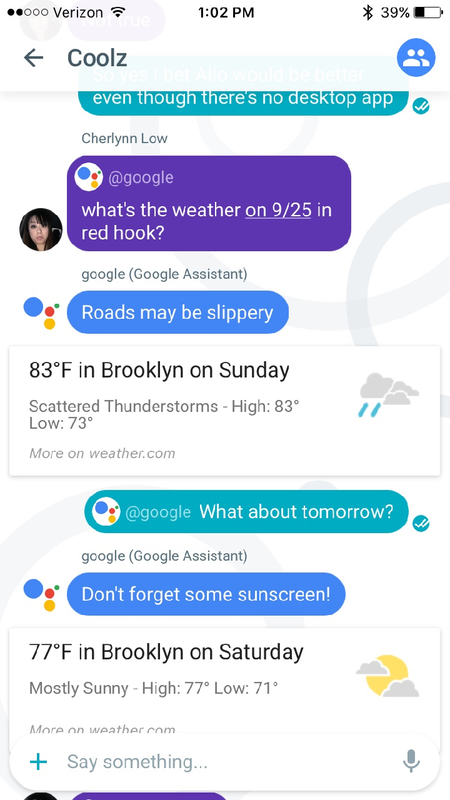 The Assistant is what really sets Allo apart from other chat apps, and it can provide you with a host of info depending on whether you're in a private chat with it or bringing it into a conversation with other human beings. Probably the best way to sum up the Assistant is that it lets you bring info from around the internet right into your conversations without having to jump back and forth between apps. If you're planning dinner, for example, you can ask it to show you nearby Indian restaurants, and then tap on a specific result to get more details. Results from the Google Assistant typically have "chips" below them to prompt you to continue getting more info; you can pull up a map, call the location, see pictures inside and more with one tap. And because it understands natural language, you can follow up your query about Indian restaurants by saying "What about Chinese?" and it'll know you're interested in food, not the language. This can be genuinely useful -- it's easy to share things like flight status, local weather and nearby points of interest with groups of people just by asking Google. And there's lots of silly fun to be had as well. Google built in some games like "emoji movies," where you have to guess the name of a film based on a series of emojis. You can also have it pull up pictures and GIFs from Google images, so it's pretty easy to drop cute cat pictures to your group on the fly. The downside to the Google Assistant is that it doesn't quite live up to the promise of letting you do everything in the app, through the bot. Many times, tapping on various items will bounce you out to your browser, and while I can look up a bunch of restaurants with my friends, I can't actually book one through OpenTable right in the app, for example. 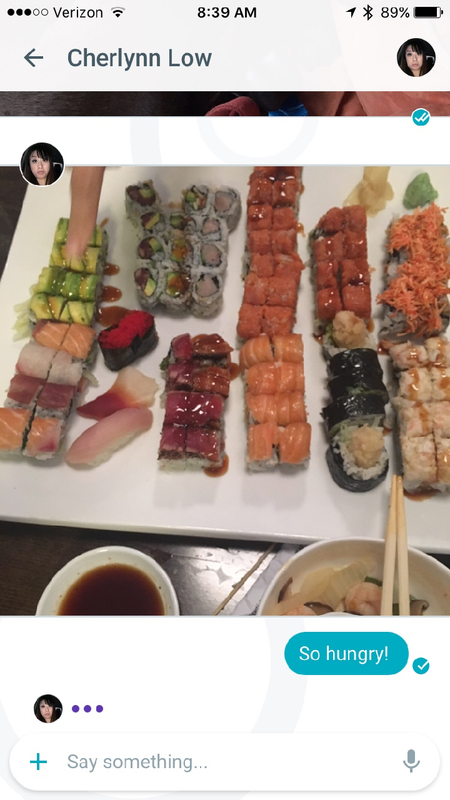 The Assistant doesn't yet work with third-party services, so I can't say "get us a table for four at 8PM." That'll come down the line, though. When it can't complete a task itself, you get bounced out to the web. Sometimes that makes sense -- seeing a restaurant's full menu is better in a browser than in a chat app, and getting directions to a location is a lot better in the proper Google Maps app. But the experience occasionally felt a bit more disjointed than I'd like. Google says the Assistant is considered only a "preview" right now, so it should become smarter and better integrated in time. Chatting directly with the Google Assistant (rather than interacting with it in a chat with other humans) opens up more functionality. For the sake of privacy, it can do certain things only in private chat -- you can ask it to get you directions to work, show you emails from yesterday, pull up your calendar agenda and more things based on your personal Google account. You can even have it pull images from Google Photos using natural language like "show me my pictures of dogs." The app also lets you set reminders and alarms as well as sign up for recurring "subscriptions." You can search for a particular news item (I tried "Red Sox news") and it'll pop up every day at the time you specify. This is all well and good, but I don't think a chatbot is the best place for a lot of these interactions. In fact, in a lot of cases, it's easier to just say "OK Google" and ask your Android phone for this sort of help or info. Siri also does a lot of this on the iPhone at this point, as does the Google iOS app. Don't get me wrong, the Google Assistant can be quite knowledgeable and useful, but in a lot of ways it's just replicating things you can already do in Google search. Beyond the Assistant, Allo has the messaging basics covered, but there are few surprises here. You can tap and hold the "send" button and then scroll up and down to increase or decrease the size of text -- Google calls this "yelling" or "whispering." It's quite similar to the "loud" and "gentle" settings Apple added to iMessage in iOS 10, if you've checked that out. Google has also added in the "smart reply" feature that originated in Inbox. It'll analyze the content of your chats or photos and offer suggestions. I found it to be pretty hit-or-miss; it's handy to have it offer up a quick yes or no reply, but deeper replies don't usually work out terribly well. Naturally, Allo also has stickers; there are 29 different sets you can download, for starters, some of which are animated. They're nice, and Google notes the name of the artist who created each set, but they're not wildly different from what's out there already. And as of yet, there isn't a way to add more third-party options. You can share your location or photos in Allo, but I ran into one surprising omission during my testing: On Android, you can't see content from Google Photos and add them to a chat -- you can access only images you've shot directly on your phone or downloaded to storage. There are work-arounds -- you can go to Google Photos directly and share a photo to Allo from there -- but it still seems like a strange omission. On Android, you can add text to photos and draw on top of them (a la Snapchat), a feature that'll be coming to iOS down the line. Allo also offers end-to-end encryption in "incognito" chats. The Google Assistant isn't allowed here, and the participants in the chat can decide how long they want the messages to stick around for. 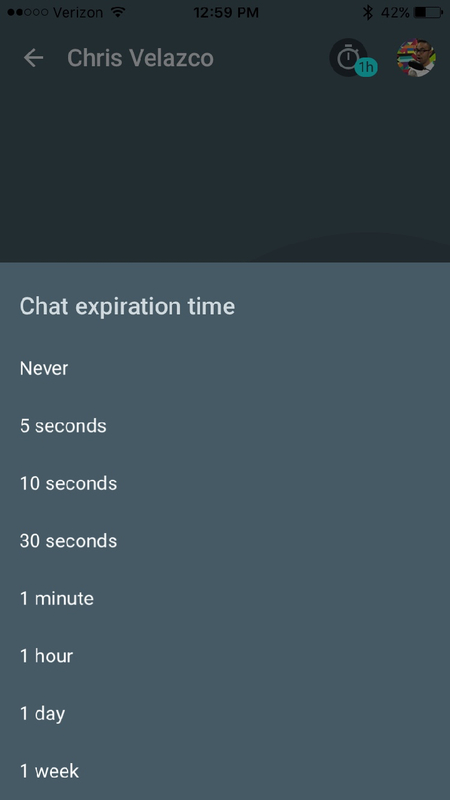 You can set the chat expiration time as long as a week or as short as five seconds (you can also make it so messages don't disappear). Most users probably won't bother with this feature, but apps like Telegram made highly secure chat a feature of note, so it makes sense to see it pop up here. Overall, there's not a lot to make Allo stand out from the competition beyond the Google Assistant. And unfortunately, the Assistant feels a bit like it's under construction, still. The breadth of information that Google has access to, both about a user as well as the world around him, is stunning, and it's great to tap into. But Google has already given us a plethora of ways to do that; Allo is just another. The difference is that Allo makes it easy to bring that data into a conversation with other humans. That's the killer feature. But it's not a simple one to explain, and it's not something that becomes immediately useful. Some co-workers and I goofed around with Allo for several days, but the Assistant never elevated itself to a must-have feature. It was fun to show off and experiment with, but it didn't feel like enough to keep any of us conversing in the app over the many other options we already have available to us. I'd like to keep giving it a shot, because it feels like it could be useful under the right circumstances. The trick is getting your friends to use it long enough for those situations to arise.